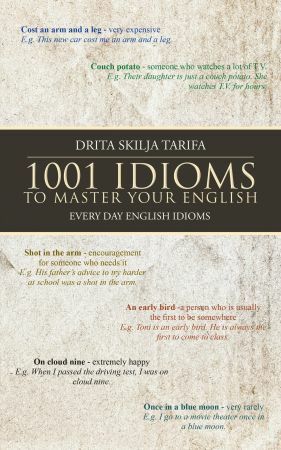 This collection of 1001 English idioms is a highly useful tool for students of the English language. Idioms are divided into twenty relevant topics: Food, Body, Animals, Money, Comparison, Nature, Colors, Numbers, Love and War. …and…, Clothes, Home, Work, World, School, Sports, People, Country, Travel and Music. Each unit consists of a wide selection of idioms which are explained and used in great examples to clearly illustrate the true point of each idiom. Each unit is followed by practice exercises to help the students reinforce the use and meaning of the idioms. This book is also a highly reference tool for teachers of English as a second language.